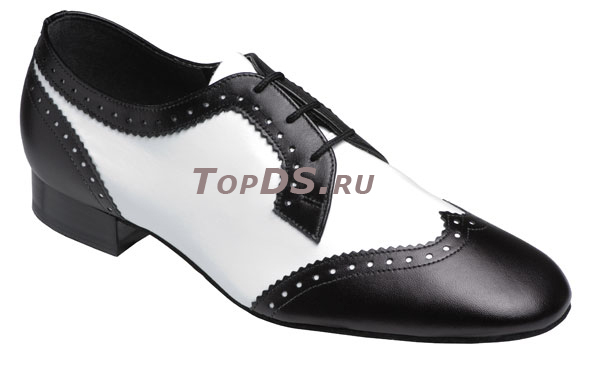 Mens Black and White Leather Shoe with 1" Cushioned Heel. Regular Fitting, Full Suede Sole. Wide & Extra Wide fittings can be made to order and take 4 weeks to manufacture.